YarraTri is a friendly and welcoming club that is always looking for new members to join. 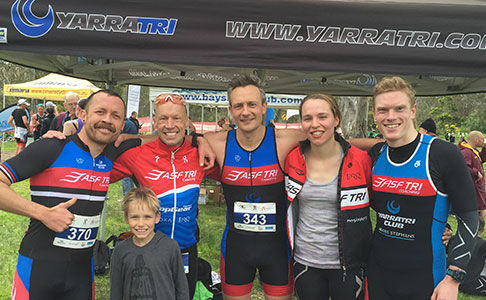 With training all around the City of Yarra, and more than 20 sessions per week, it is a great centrally-based triathlon club to join. We were formed in 1996 and has grown to become one of Australia's leading triathlon and multisport clubs. With educational seminars, organised social functions and a healthy, friendly and supportive training and racing environment, we cater for anyone interested in triathlon and multisport, from beginners to elite athletes.